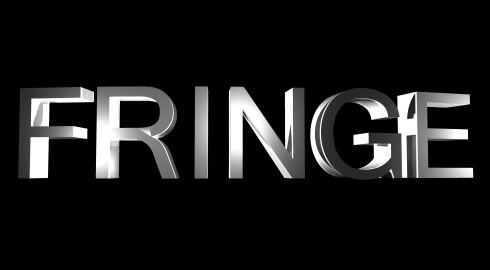 Yesterday, the Internet blew up as multiple sources confirmed that FOX had indeed picked up cult favorite Fringe for a fifth and final season of 13 episodes. While I'm happy for the fans of the show, I have to admit that I had mixed reactions when I read the news. On one hand, I'm all in favor of these kind of "fringe" shows living on network television. Heck, one of my favorite shows of all-time (Chuck) was a cult classic, so I understand the kind of love and dedication fans of Fringe have for their show, and I'm happy that it gets to live on to keep the TV landscape refreshing and daring. On the other, television's still a business and keeping a show that's so low-rated on the air seems puzzling to me. Again, I cannot throw stones since Chuck's numbers were also pathetic towards the end of its run, but I also expected it to get cancelled multiple times. Sure, I was happy when NBC kept it going, but even those renewals didn't make sense to me at the time either. I know that people are going to point out syndication, licensing fees and other factors that allowed FOX to bring back Fringe, so I understand that there's some justification from a business perspective ... for Warner Bros. but not necessarily FOX. 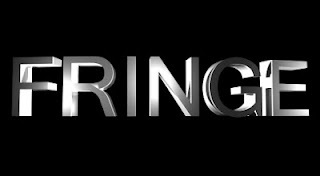 While I'm by no means an insider, even I know WB essentially gave Fringe away to pad its episode order so it can put together a sweet package for any channel willing to show reruns, but will anyone be willing to. The reason why syndication can be a good deal for the studios that produce television shows is because their programs can fill holes on network's schedule, but there's some debate whether a heavily serialized show like Fringe can thrive in syndication. More often than not, the channels that buy syndicated packages will air episodes throughout the week and at odd hours, so if someone tries to watch something like Fringe, Lost or Heroes missing one day out of the week can throw them off. I'm not even saying that most people would watch these shows in that way, but there's a reason why most reruns on off networks tend to be sitcoms and procedurals; you don't need to watch every episode to follow along. That's my long-winded way of saying that I'm glad Fringe is back, but I still don't know what FOX was thinking. I suppose the real moral of the story is if you have an idea for a television show that's only appealing to a small amount of viewers, then pitch it to Warner Bros. Television because they'll do whatever it takes to keep it going like they did for Fringe and Chuck ... and that network television has entered into a bizarro world where low-rated sci-fi is the new black.